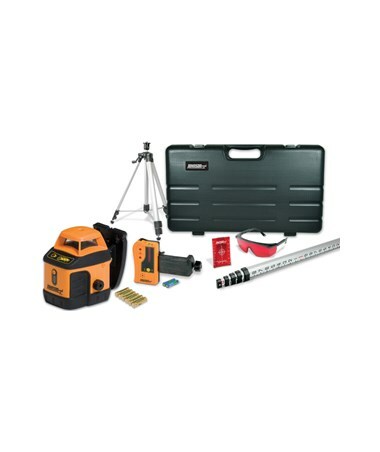 With a full accessory kit, the Johnson 40-6519 Horizontal Self-Leveling Rotary Laser System is great for indoor and outdoor applications such as leveling, checking cut and fill, setting foundations and footings, acoustical ceiling and drywall, contour framing, and leveling deck doors. 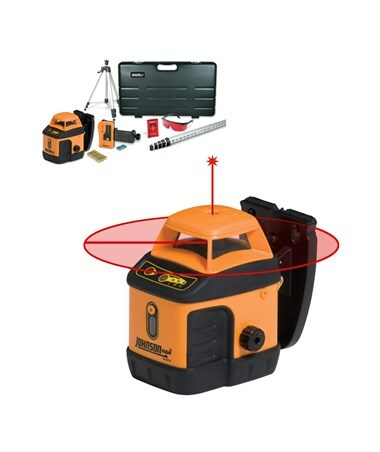 Self-leveling within ±3 degrees, it can operate with an interior range up to 200 feet and an exterior range up to 800 feet with a laser receiver. 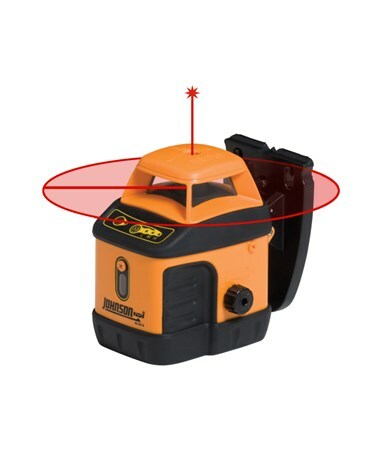 Also, this rotating laser offers an accuracy of ±3/16 inch at 50 feet. This Johnson Level laser features horizontal self-leveling and manual leveling in the vertical plane. It comes with a split beam that establishes the 90-degree angle. 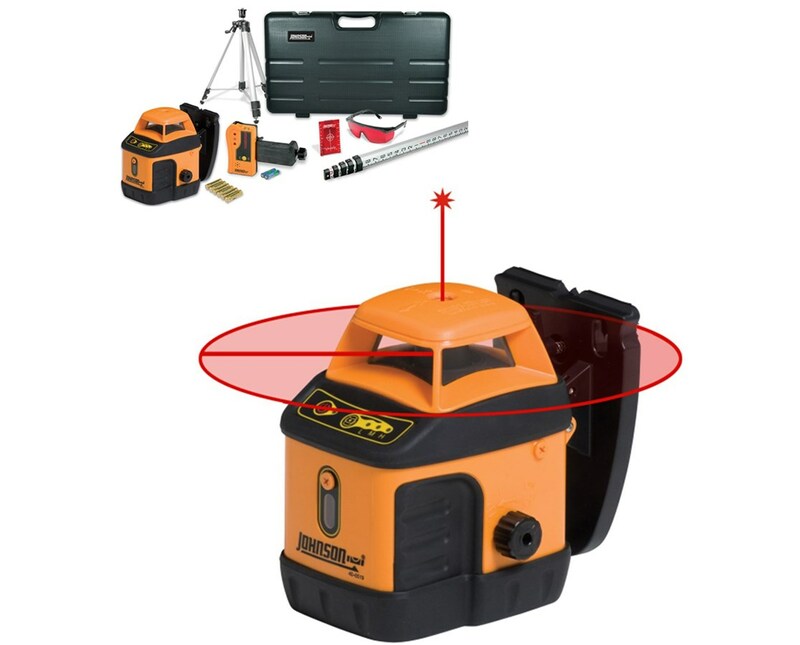 Also, this rotary laser level features a rotation speed of 200, 500 and 800 rotations per minute. 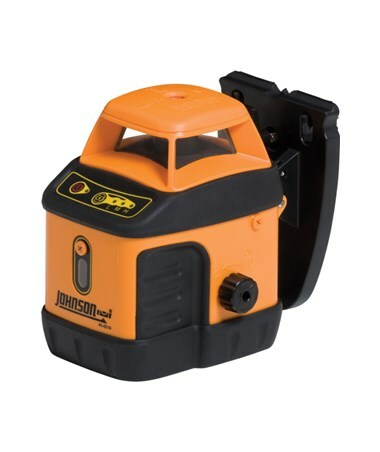 Made of durable plastic with heavy rubber over molds, this construction laser can endure harsh job site conditions. It uses alkaline batteries that can give power to the laser level up to 25 hours of battery life. With an IP54 rating, it is dustproof and water resistant. As an extra feature, it has a 5/8-11 tripod thread that is compatible with most tripod brands.